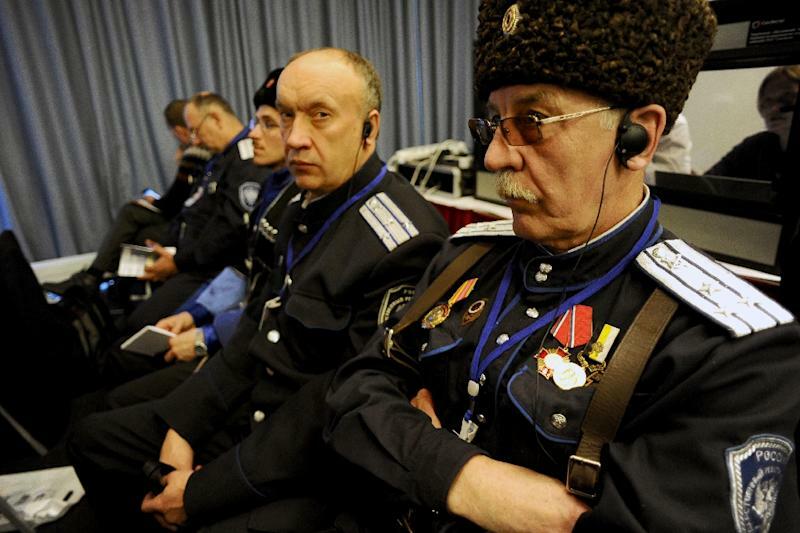 Saint Petersburg (AFP) - Representatives of about a dozen far-right groups from across Europe gathered in Russia Sunday for a pro-Kremlin conference as concern grows over Moscow's alleged attempts to court extremists on the continent. About 150 members of Russian nationalist and right-wing European parties -- including Greece's Golden Dawn and Germany's National Democratic Party -- met in Russia's second city Saint Petersburg to berate the West for its stance on the Ukraine conflict and to promote "traditional values". Far-rights groups across Europe have become vocal supporters of Russian President Vladimir Putin over his handling of the Ukraine crisis, prompting allegations they have reached a Faustian pact to help burnish the Kremlin's battered image. The growing ties come despite Moscow's claims it is aiming to counter what it sees as "fascism" in Ukraine, where pro-Western protesters swept a Kremlin-backed president from power last year. "We do not support the sanctions against Russia over the Ukraine conflict," Udo Voigt, a member of the European Parliament from Germany's National Democratic Party, told the conference. "It is incredible what patience Russia and President Putin have shown in the face of NATO's aggressive policies." But the Russian federation of Jewish communities said it was extremely worried about such a meeting in "one of the cities that suffered most from the Nazis", saying it was "particularly cynical" given Russia would celebrate the 70th anniversary of its victory over Adolf Hitler's Germany in May. Organisers said the forum was intended to strengthen links with right-wing groups across Europe and help shape a common agenda. "This meeting is the first foundation stone towards constructing the new world that we are obliged to build," said Fyodor Birukov, from the pro-Kremlin Rodina party that organised the event. 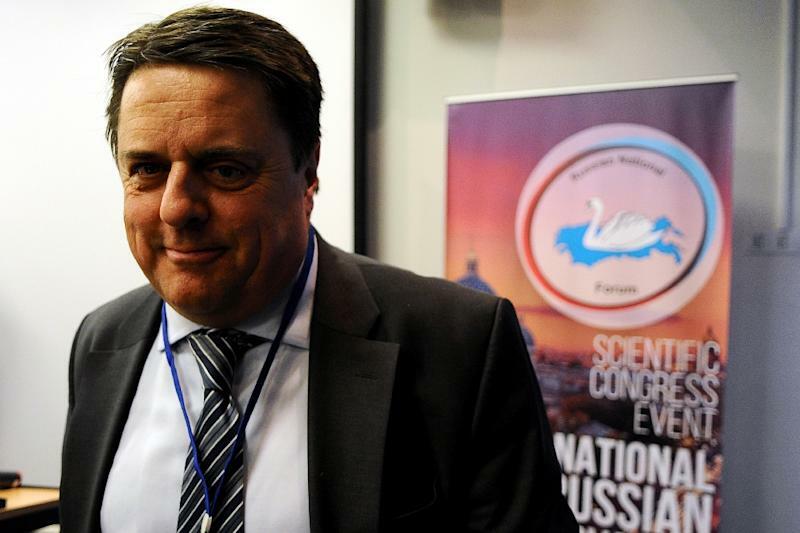 "I see this forum as a way pushing the fight back against liberalism and what we call modernism, the destruction of traditional values including Christianity throughout the modern world," said Nick Griffin, former head of the British National Party. "Russia is about tradition and Christianity and it's very important that traditionalists from Russia, Europe and America get together to present our ideas more effectively to the general public." Sunday's meeting also sparked condemnation from Russia's liberal opposition, with several demonstrators outside the hotel venue holding placards reading "No to Nazis". Putin opponent Alexei Navalny, who was jailed last month for two weeks, wrote on Twitter: "The fascists have strangely and very quickly turned into Russia's friends." "It is scandalous for Russia to welcome the heirs of Mussolini and Hitler," one of the protesters outside the meeting, Natalia Gerasimova, 57, told AFP. Fringe far-right groups from around Europe have sent observers to monitor votes by pro-Russian separatists in eastern Ukraine that sought to legitimise their rule despite widespread condemnation from Kiev and the West. France's National Front did not attend the meeting but its leader Marine Le Pen appeared on Russian state television on Saturday to condemn EU sanctions against Moscow and anti-Russian "propaganda", which she claimed is being done "under orders from the US".